If you are even remotely interested in adding shutters to your home, stop what you’re doing and read on about the amazing benefits of vinyl synthetic shutters. Trust me, your home will thank you. If you are looking for a way to impress yourself every-time you take a much deserved soak in the tub, look no further than installing shutters. Vinyl synthetic shutters are waterproof making them perfect for any splashing that happens in the tub or shower. When your kids, or kids kids, or dog, are romping around in the bath water, you can rest at ease knowing these shutters are going to repel that water. Place these over a sink, or in the shower, and fear no more about moldy warped wood. Fear not that your bathroom (steam room) habits will damage these investments in your home. Vinyl shutters have sometimes gotten the bad reputation of being fragile, hollow, and cheap. No sir! 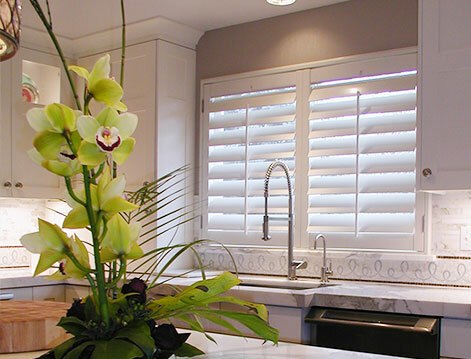 The vinyl synthetic shutters provided by Stanfield Shutters are a 100% solid vinyl material. Hollow shutters can crack, chip, and yellow over time. Making all of their shutters out of solid vinyl adds weight and extra strength to their products. Part of that durability comes with the benefit of using a synthetic material. With wood and composite materials, you have the issue of warping in humidity and extreme cold and heat. The material in question adds a time-tested endurance that other cheaper materials can’t compare to. Shutters, by their nature, just exude class and style. Adding some vinyl synthetic shutters to your guest bathroom will leave your guests feeling that you have an eye for detail, and care about the appearance of your home. Not only do they increase the resell value of a home, but that beauty also comes with ease of use. No more cords to fight and no dis-colored blinds to twist open and closed during the day. These shutters are also so easy to keep clean. Just take a damp rag and wipe down the louvers to remove dust and dirt. It’s that easy to keep your windows classy. In the world of shutters, there are a tremendous number of options to consider. When looking to cover your windows with something waterproof, durable, and beautiful, look no further than a vinyl synthetic shutter. You deserve to treat yourself, and your windows, to these awesome window treatments.